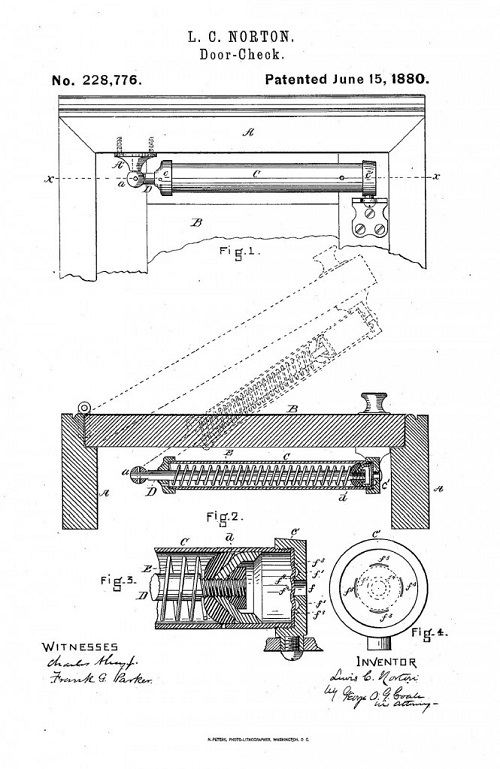 Since the door closer was invented back in the late 1800’s, a lot has changed. Door closers are available in many styles to suit the needs of commercial door openings. Closers are important to controlling an opening, not only for functionality but also for security. 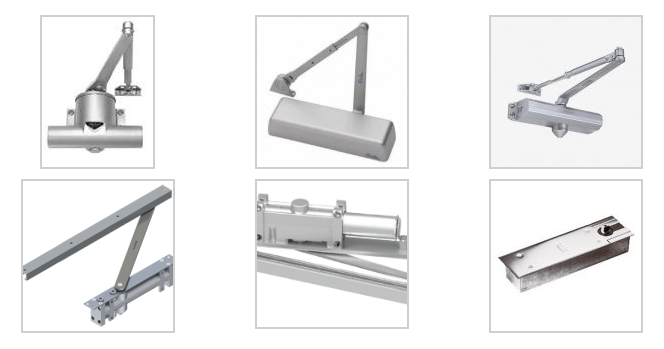 There are six common types of commercial door closers shown below. 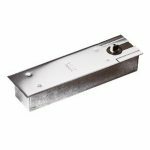 The most common door closer used in commercial buildings today are the Modern Type closers, with or without the cover. These closers all work in essentially the same way. As the door is opened, a spring is loaded with tension. Once the door is released, the closer spring releases the tension and closes the door. Learn the differences between mounting a surface closer using a parallel arm vs. a regular arm. Circumstances at the opening may restrict the type of door closer that can be used. Modern type door closers are the most flexible and easiest to work with due to the fact that they are surface mounted to the door or frame, making them more accessible for adjustments and maintenance. 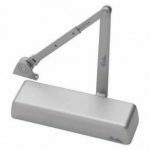 Modern style door closers also have a wide range of closer arm options and functionality which makes them a popular choice. Concealed closers are ideal when aesthetics are a concern. Floor closers have the added benefit of controlling much heavier doors since they are mounted in the floor. Caution is advised when concealing the closer. The materials you are working with may limit where the closer can be concealed or mounted. The power of the closer can also be limited. Be sure to address these issues in the design stages of your project. Hold Open Functionality – Uses either a friction hold-open bolt on the arm or some form of a manual hold-open function. 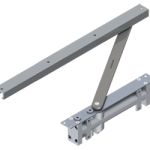 Dead Stop – Has a built in rigid stop that prevents the door from swinging past a certain point. Spring Stop – Also has a built in stop but includes a spring in the stop that allows it to “catch” the door as the closer arm makes contact with the stop. Heavy Duty Forged Arm – For abusive or high traffic areas that require more durability than the standard arm options. Some of these door closer options can be used together on the same closer arm. Careful planning may be required to determine which closer options are correct for your application. Generally a modern type door closer is an effective solution for controlling a commercial door. 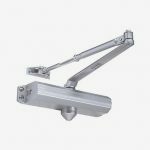 Commercial door closers are also built to last (in the proper application) so you should expect to get many years of use out of them before requiring replacement. Remember, you can get any of these door closers, as well as product support, at Beacon Commercial Door & Lock.